The first book by Brother Anthony Mongelli, Jr. The LEORNARD E. STOKES MEMORIAL BLOOD DRIVE is cancelled for January. For more information click here! 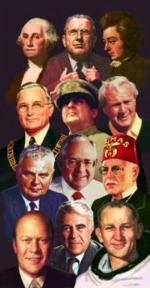 Freemasonry (or Masonry) is dedicated to the Brotherhood of Man under the Fatherhood of God. 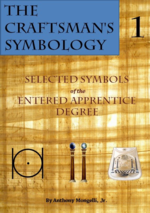 It uses the tools and implements of ancient architectural craftsmen symbolically in a system of instruction designed to build character and moral values in its members. Its singular prupose is to make good men better. 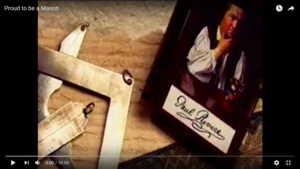 No one knows just how old Freemasonry is because the actual origins have been lost in time. Most scholars believe Masonry rose from the guilds of stonemasons who built the majestic castles and cathedrals of the middle ages. In 1717, Masonry created a formal organization when four Lodges in London joined in forming England's first Grand Lodge. By 1731, when Benjamin Franklin joined the Fraternity, there were already several Lodges in the Colonies. Today, Masonic Lodges are found in almost every community throughout North America. A Mason can travel to almost any country in the world and find a Masonic Lodge where he will be welcomed as a "Brother." 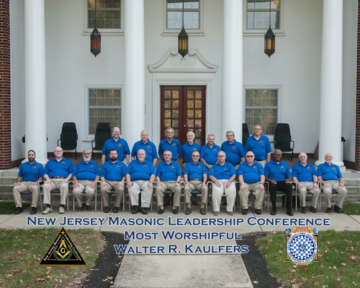 The word "Lodge" means both a group of Masons meeting together as well as the room or building in which they meet. Masonic buildings are sometimes called "temples" because the original meaning of the term was "place of knowledge" and Masonry encourages the advancement of knowledge.Masonic Lodges usually meet once or twice a month to conduct regular business, vote upon petitions for membership, and bring new Masons into the Fraternity through three ceremonies called degrees. Here the bonds of friendship and fellowship are formed and strengthened. Interested in becoming a Mason? Just ask one.